Primary care physicians, cardiologists and the Lions Clubs International—no, this isn’t a game of “odd man out,” but rather a diversified mix of referral sources senior living operators should consider in their marketing, sales and outreach efforts. Reaching out to community and volunteer-based organizations, like the Lions Clubs, is a fruitful way for senior living operators to cast a wider net for referral sources—a strategy worth considering as the industry grapples with stagnant occupancy rates. In fact, while senior housing inventory has experienced an overall steady growth in recent times, occupancy has been at a standstill, with the average occupancy rate for senior housing properties remaining unchanged at 88.8% in the third quarter of 2017, in a year-over-year analysis, according to data from the National Investment Center for Seniors Housing & Care (NIC). To combat this statistic, senior living operators must get creative with their referral base and remain in constant contact with these groups, according to providers and consultants in the industry. In addition to the Lions Clubs, senior living operators should reach out to similar groups like Kiwanis International and Shriners International to diversify their referral base, according to Cindy Olson, vice president of consulting business development at Minnetonka, Minnesota-based Health Dimensions Group, a consulting and management firm that services the post-acute, long-term care and other sectors of the health care industry. Groups such as these often look for professionals in their local communities to speak at their meetings, she explained, and much like many in the general population, members of these groups don’t often think about senior living options until the need arises. “They only really think about it when they have to deal with it. And there’s an educational gap,” Olson told Senior Housing News. Reaching out to leaders of volunteer- and community-based organizations fills in the education gap between the senior living industry and the local group, as well as the general public, Olson explained. Newton, Massachusetts-based Five Star Senior Living (Nasdaq: FVE) is one provider that follows this practice. The company hosts “Senior Living 101”-type sessions for community-based groups like local Lions Clubs on the types of senior living options available in the market, according to Roxy Mast, director of sales training at Five Star. At Five Star, the outreach isn’t just education-based, as the group will even host its Lifestyle360 brand of recreation activities for local organizations, as well host its fitness activities at local churches for members of their congregation, according to Mast. In addition to these community-based organizations, another group providers should turn to as a unique referral source are estate planning councils, which often have a membership comprised of elder law attorneys, CPAs and trust officers, Mast explained. “You can usually join as an affiliate and be part of that group [and] can also partner to [host continuing education] classes for for them,” Mast said. These outreach and educational efforts are not a one-and-done deal. For it to work successfully, senior living operators must maintain a steady relationship with these community- and volunteer-based group leaders, according to Olson. In order for operators to successfully sell their community to these unique referral sources, they must not think of their senior living community as merely a product they’re trying to sell, according to Olson. 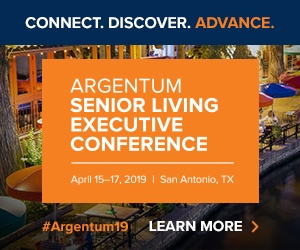 This process involves developing a deep understanding of the organization, and also creating an awareness for them as to why your senior living community and its services are the perfect fit for the community at large. “By selling it that way and explaining how you can make seniors lives better … you can really make people realize that it’s a good thing that you’re there and that it’s worth it for them to put their reputation on the line to give them your name,” Olson added.